When Raju was freed after spending 50 years in chains, he wept. If Raju had been human, these tears of relief would be touching, though by no means surprising. But, considering that Raju is an Asian elephant, his tears tugged on the heartstrings of animal lovers around the world. It's an endearing story -- but do elephants cry in the same way that humans do? 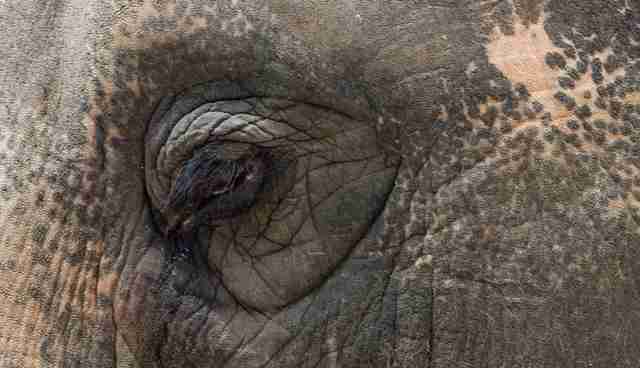 In the sense that crying is leaking fluid from eyeballs, elephants -- like most mammals -- can produce tears. Keith Lindsay, a biologist at Elephant Haven, tells The Dodo he has "seen elephants with some liquid, probably tears, coming out of the corner of their eyes in many different circumstances, often when they are sleeping standing up, or a bit excited." Elephants are also, without question, emotional animals. "I have no doubt that elephants and other animals can feel very similar emotions to us," Lindsay says, "quite likely exactly the same emotions as us." When an elephant dies, for instance, other elephants have expressed what anthropologist Barbara King describes as grief. Conservationist Joyce Poole gives several examples of how elephants grieve: a mother elephant stands guard over a stillborn calf for days, and three young males lift a dying matriarch with their tusks. When elephants encounter the bones of another elephant, they will inspect the remains with their trunks -- an unusual trait among animals. But do an elephant's tears fit the bill of emotional crying? That's tougher to say. Marc Bekoff, who taught evolutionary biology at the University of Colorado, Boulder, points to other Raju and other anecdotes to make the case that it's possible elephants weep with emotion. In 2013, for example, a newborn elephant calf cried for five hours after his mother rejected him. 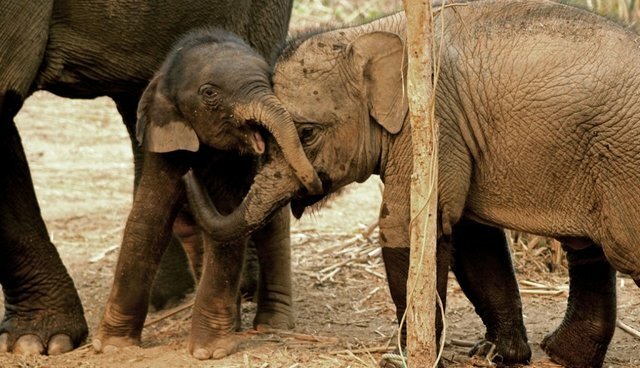 But -- just as humans don't flare our ears to show aggression (as elephants do) -- it's more likely that elephants would use elephant behaviors to convey sadness. "There are many reports of elephants in terribly sad situations, and not many reports of them weeping," Lindsay says. "There are lots of postural cues, vocalizations, possibly even odors that could let other elephants know when one is unhappy." That being said, both Bekoff and Lindsay agree that animal emotions should not be dismissed as unknowable. To know if elephants weep, "we need to study it in more detail," Bekoff writes. For now -- for Raju -- it should be enough to know that elephants feel sadness. The beauty of this elephant's story isn't whether or not he wept, but that an intelligent, emotional creature is now free from abuse.